Only ten months after the release of the iOS version. Earlier this year, Netflix released a new app that allows users to manage their DVD queues. That feature had previously been available on Netflix apps until an update in 2011 removed it, but surprisingly the now separate DVD portion of Netflix is still profitable and used by around four million people. So while it may have seemed like a "why now" sort of move, it apparently made sense with so many people still choosing to rent DVDs. However, that app was released in January and only for iOS and it has taken until now for the company to release an Android version. 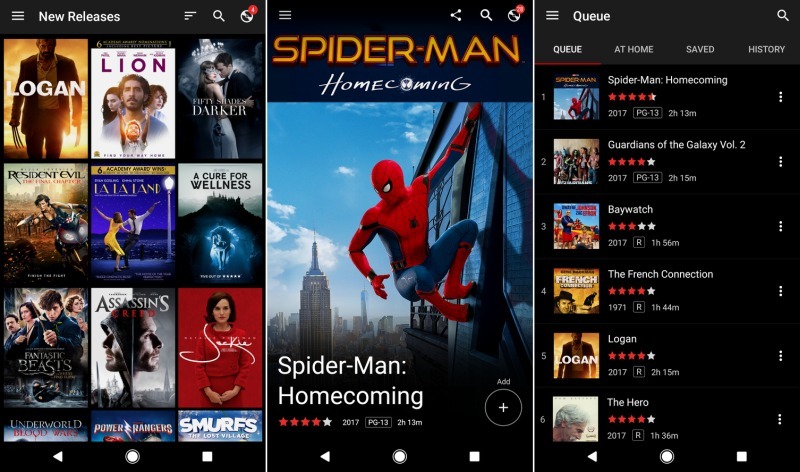 Phandroid reports today that the DVD Netflix app is now available for Android, nearly 10 months after iOS users got theirs. The app allows customers to manage their queues and provides notifications when returned discs have been received by Netflix and when new ones have been sent out. It also lets users browse and search for new rentals and provides recommendations. It's available now from the Google Play Store.